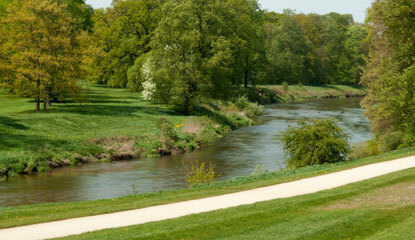 It is critically important to protect Pennsylvania’s land and waterways. That is the goal of the Growing Greener III legislative proposal being considered in Harrisburg. This week, I joined fellow lawmakers and the Pennsylvania Growing Greener Coalition in renewing our call for the General Assembly to pass this important legislation. In January, my Growing Greener III proposal was added to Senate Bill 799, which passed the Senate in a strong bipartisan vote of 47-2 and now awaits action in the House. Established in 1999, Growing Greener is a milestone program that protects Pennsylvania’s land and waterways through a number of state agencies. That original program and its next phase, Growing Greener II, have essentially expired, as all allocated funding has been used. Growing Greener clearly has a successful track record of preserving Pennsylvania’s natural resources. Growing Greener III will continue to protect our land and waterways, and it is the next step in renewing our commitment to the environment and enhancing the quality of life for Pennsylvania’s families. Below is a video of this week’s event calling for the passage of Growing Greener III. 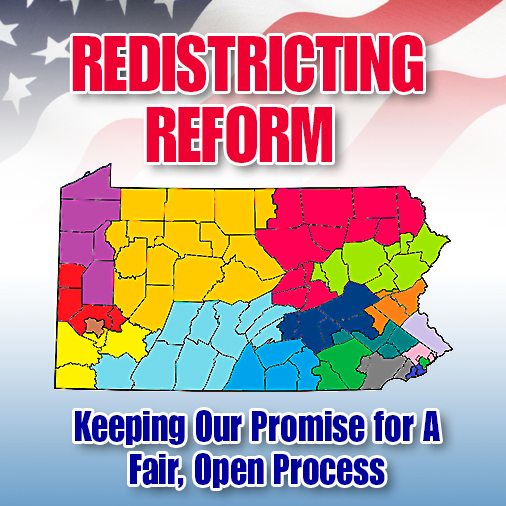 On Wednesday, the Senate passed a redistricting reform bill by a vote of 35 to 14. I am a co-sponsor of this legislation, Senate Bill 22, which dramatically changes how election districts are created in Pennsylvania, and I voted in favor of the bill. Currently, congressional districts are redrawn by the General Assembly and signed into law by the Governor, and state House and Senate districts are created by a Reapportionment Commission comprised of legislative leaders. Senate Bill 22 calls for the Pennsylvania Constitution to be amended in order for a citizen commission to instead create these election districts. Senate Bill 22 has been substantially amended recently, but it still contains the core principle of citizens guiding the redrawing of districts without the General Assembly completely controlling this process. 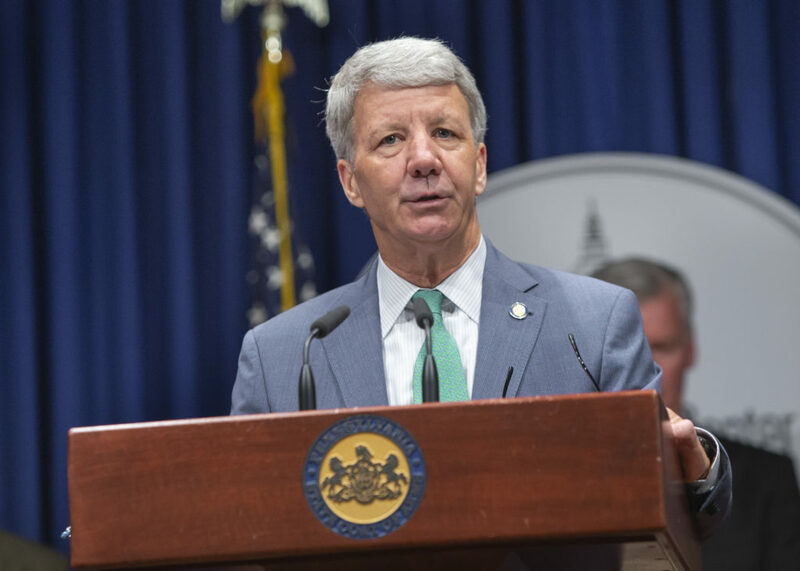 One unexpected addition to Senate Bill 22 was the inclusion of Pennsylvania’s appellate courts in this reform measure. Under the new version of the bill, the citizen commission will create seven Supreme Court districts, nine Commonwealth Court districts and fifteen Superior Court districts. Currently, the justices and judges for these appellate courts are elected statewide instead of by districts. Supporters of this change argued that regional representation in our courts brings a new level of fairness and accountability to our judicial elections. Eleven other states use regional judicial district elections to select justices and judges. It is important to note that because Senate Bill 22 will amend the Constitution, voter approval will be necessary after required multiple votes in the General Assembly. The citizen commission reform component and the appellate court change will be voted on separately by the voters, allowing each proposal to be judged on its own merits by Pennsylvanians. Senate Bill 22 now moves to the House for consideration. Renewable energy is vital to Pennsylvania’s future. 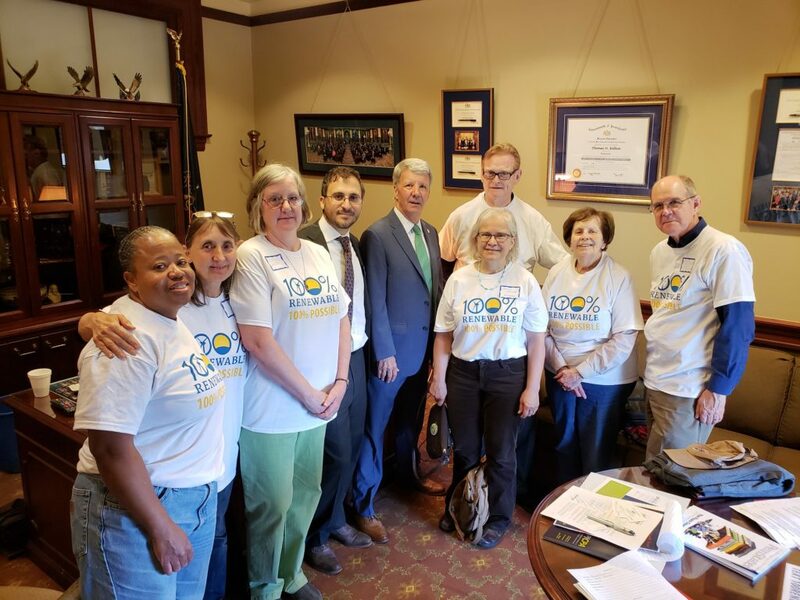 I met with residents thanking me for co-sponsoring Senate Bill 1140, which moves our state to 100% renewable energy by 2050. This bill will protect our natural resources and lead us to energy independence. 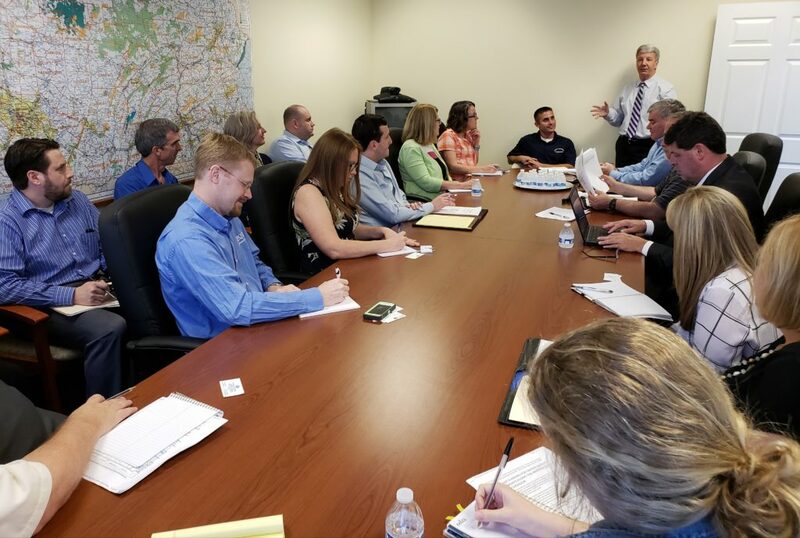 I hosted a packed house in my Brookhaven office for a Pennsylvania Department of Environmental Resources meeting. Representatives from municipalities, school districts, conservation districts and other legislative offices learned about an important DEP grant that benefits our local communities. This week, many Senate and House bills were moved out of committees and through both chambers of the General Assembly. Two of my prime-sponsor bills, Senate Bill 1074 and SB 1169, were unanimously approved by the Senate Consumer Protection and Professional Licensure Committee. These bills will allow genetic counselors to order genetic laboratory tests and other diagnostic studies as appropriate for genetic assessment. To date, 23 states have adopted similar legislation with an additional 25 states actively engaged in licensure efforts. The goal of the legislation is to help patients receive convenient, high-quality genetic services. Pennsylvania is the only state with genetic counselor licensure to explicitly disallow their ability to order genetic testing. Additionally, on Monday, I offered an amendment on the Senate Floor to Senate Bill 655, legislation introduced by Senator Gene Yaw, that will make mandatory the current voluntary guidelines developed by the state’s Safe and Effective Prescribing Practices Task Force on the proper and safe prescribing of opioid-related pain medications. Specifically, my amendment, which was suggested by a constituent of Nether Providence and an active advocate as a pharmacist and retired professor of pharmacy, added four additional members to the Pennsylvania Safe and Effective Opioid Prescribing Advisory Council, as established in the bill. These four members include community pharmacists; health system-based pharmacists; emergency physicians; and obstetricians/gynecologists. The intent is to help provide the unique and valuable perspectives of these individuals, on ways to further improve both prescribing and dispensing of opioids. Development of the guidelines were done in partnership with the PA Medical Society, PA Dental Association, PA Pharmacists Association and other community advocates. I believe these guidelines may be a great step forward in addressing the drug abuse epidemic facing our Commonwealth. Senate Bill 655 now goes to the House for consideration. Finally, I am a co-sponsor of Senate Resolution 373, introduced by Senator Rafferty, which would establish a bipartisan, bicameral legislative commission that would be charged with recommending improvements and developing legislation to enhance the safety, oversight and interagency coordination in the transport of oil, natural gas and other hazardous liquids through pipelines in the Commonwealth. The resolution was approved by the Senate Environmental Resources and Energy Committee and is now before the full Senate for consideration. I look forward to continuing our work on legislation and the 2018-2019 state budget during the upcoming Senate session days in Harrisburg. 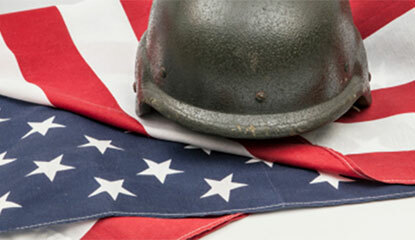 Thursday was National Flag Day. 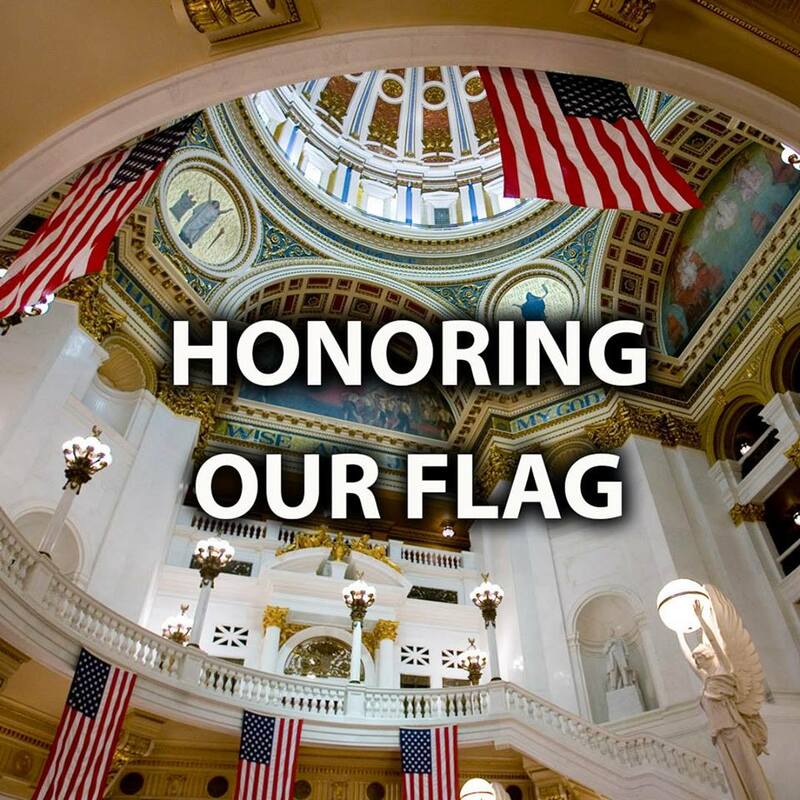 I am a co-sponsor of Senate Resolution 392, which designated June 14th as Pennsylvania Flag Day as well. Please consider taking the time to ensure that your flags are properly taken care of as we proudly remember the meaning of our flag colors. Looking to make plans this summer? If you have not visited our state parks, the summer is a good time to check them out. The 121 state parks feature 200,000 acres for hiking, picnicking, camping, fishing, hunting, boating, wildlife watching and more. State parks do not charge an entrance fee.